This week’s photo of the week is a little different for me, in that it was taken right in my house, at the kitchen table. I just wasn’t able manage any time away to get out to do any shooting and was forced to get creative much closer to home. This was just a simple macro shot of one of the leaves of a plant we have that sits on our kitchen table. 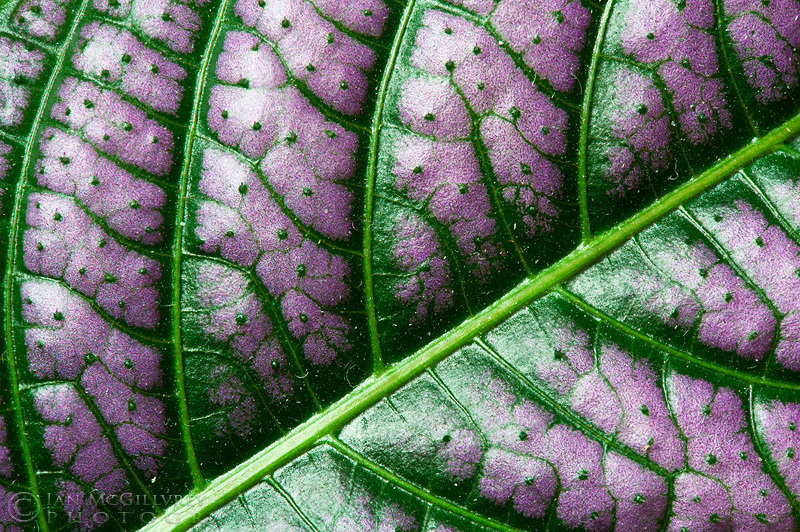 I’ve always liked the combination of green and purple on the leaves and thought it might make for a pretty image. There really isn’t a whole lot more to say about this one, I hope you like it! I finally have some time set aside this coming week to get out to the Rockies again so stay tuned for some new images in the next couple weeks.